I am not a New Year’s resolution person. I don’t enjoy the guilt that comes with the inevitable fall-off, the one that is directly related to the fact that most resolutions are either too far-reaching or too general. Continuous, small, measurable tweaks are a more realistic and achievable way of making changes in my life, not a wholesale overhaul on January 1. 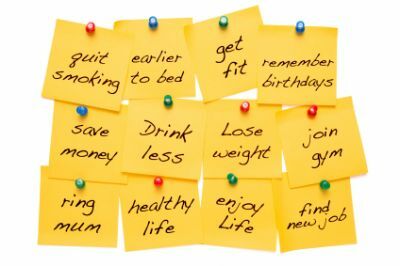 After all, most of my resolutions fail because the things I want to change need to be continued daily, all year long. Sprints aren’t easy, but they’re a heck of a lot easier than marathons. Buildings are kind of the same way: sudden bursts of improvement may give you a rosy glow of accomplishment for a short period of time, but the inevitable fall-off (or drift, as we energy geeks refer to it) starts the second the service tech walks out the door. The most valuable changes are marathons, not sprints. And choosing upgrades is a shot in the dark without a granular understanding of how your facilities function, both individually and in relation to one another. Based on my own liberation from the tyranny of New Year’s resolutions, I humbly suggest freeing your facilities from the upgrade/drift (or worse, upgrade/drift/fail) cycle and aiming at continuous well-informed tweaks instead. In 2014, you could make an energy savings resolution to deeply understand the needs of your facilities at a granular enough level to make intelligent decisions about how to prioritize service, upgrades, and continual tweaks. You could resolve not to forget about constantly ensuring that your HVAC units are operating properly, or to remember to continuously monitor every major piece of equipment to make sure they’re performing up to snuff. Or resolve to make sure that your facilities don’t run away with your profits while you’re busy doing your job, and to track each facility against its peers nationwide (and to share rankings with all of your locations to get a healthy competition going). Resolve that every time something starts to drift, or lights are left on after hours, or a cooler starts to run hot, you’ll immediately reach out to the right person to address the issue, 24/7/365, and you’ll follow up to make sure the issue is resolved. You could resolve to remind every employee at every location that you’re trying to get energy and assets under control, and tell them the three biggest energy wasters at their location every week. Or, you could take a page from my book and throw out the energy savings resolutions. Just put the SiteSage System in place at all of your locations and leave the worrying to us, while accomplishing everything on your list. Ahhh, so much ground covered with so little effort. Happy New Year, and more to the point, Happy ALL Year.